The work we do is developing continuously and we have the opportunity to be creative and work with communities to provide awareness and prevention packages that are tailored to their needs. These are some of our recent events and activities, and plans for the coming years. 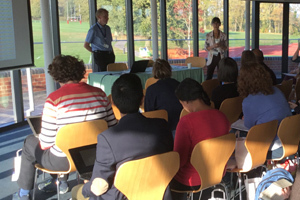 The community team continue to host the ever-popular GP event for all GPs and trainee GPs across Oxfordshire. 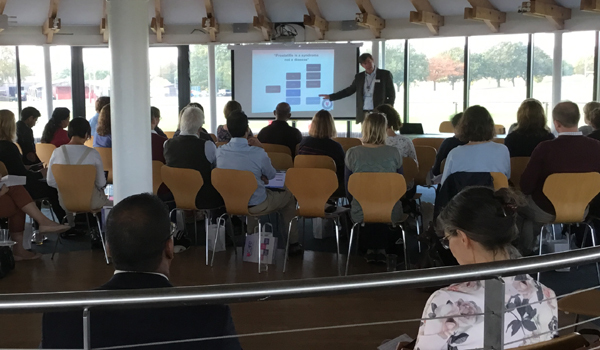 It provides an opportunity for GPs to come together to meet the Urology and Oncology Consultants and team from the Oxford University Hospitals NHS Foundation Trust. They are provided with a full afternoon of talks ranging from new techniques to pathway and current service updates and information. They have the opportunity to ask questions in a relaxed atmosphere and also the time to network with colleagues. This event is run every 2 years. Survivorship was always the ‘buzz’ word in cancer for how you coped after a cancer diagnosis and treatment. This has subsequently been preceded by “Thrivorship” which encourages a person to Live Life to the Full and continue to thrive following treatment of cancer. It is a more positive mindset rather than just surviving! We held a similar event in 2017. 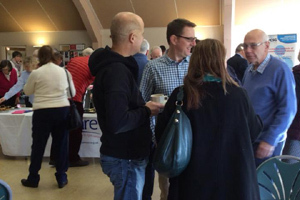 It was widely attended and enjoyed by so many patients and their partners. A really valuable event that encouraged networking and sign posting. We have been asked by the Uro- Oncology Team to host a further event in November 2019. This type of event should not be undervalued as the benefits of such an event have proven to be vast. 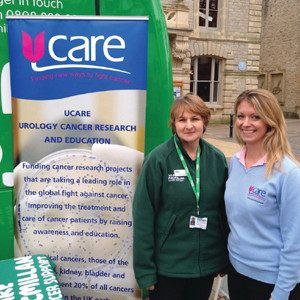 The Uro-Oncology Team now run a specific Health and Well Being programme for patients who meet certain criteria. We support this event that runs 4 times a year. We are invited to a number of community groups last year to give presentations on awareness and prevention. The groups range from Rotary clubs to patient and support groups. Networking is vital for the community team. We are a small team and rely very much on people requesting our involvement and support. We spend a lot of time building relationships which health professionals, patient groups and extended communities. This has proven to be time well spent as it has opened up many doors to aid development and progress. We raised the opportunity of altering the follow up programme of patients with testicular cancer with the Uro-oncology Team. This idea was well received. We supported the change management of the service that has led to a stratified follow up programme being developed. In 2018 we developed and ran “An Introduction to Cancer Course”. This was a bespoke course for the 40 volunteers of the Hummingbird Centre in Launton. These sessions also enabled the volunteers to ask the many practical and emotional questions that arise in their day to day care. The feedback was very positive and we have been asked to go back to provide a further six month more in-depth course on specific cancer related topics. We hope to reach out to businesses and help them focus on the needs of their workforce. We look forward to working with the Amplified Group as we move into the world of business. We have been given the opportunity to provide the teaching aspect of the Hummingbird’s Business Event. We look forward to working with them and providing an event that is exciting and interesting and starts to get businesses to think of its work force’s duty of care, that will be a positive and productive step for companies across Oxfordshire. The Community Team have been given a rare opportunity to present to the BUCKS County Council Safety Team. This is a fantastic opportunity and enables us to move into Buckinghamshire and focus on raising public awareness about Health and Well Being and prevention of disease in this county. We hope to work more with Bucks County Council in the future. We have decided that not only should our focus be on those that have been diagnosed with cancer but also on the prevention of cancer and disease. We hope to encourage small communities to consider their health by hosting small events that bring together local businesses that are focussed on Health and Well Being. If the event proves to be a success the ripple effect of this type of venture will be high and people will impact not just on those people who attend the event but also on those around them. It is vital that people make small changes to their health and all the small changes lead to an all round healthier person. It is never too late to improve your health and reap the benefits and local communities have so much talent and knowledge within them that we need to utilise and raise awareness of what people can access on their own very doorsteps and the benefits of this. We are looking to hosting this event in April 2020.